Hi Friends: Today's post is a tag that was really fun to create - I got to play with some of my favorite things. Please see below for photos, process, challenges, and supplies. Have a super day! I started by prepping the tag with gesso. 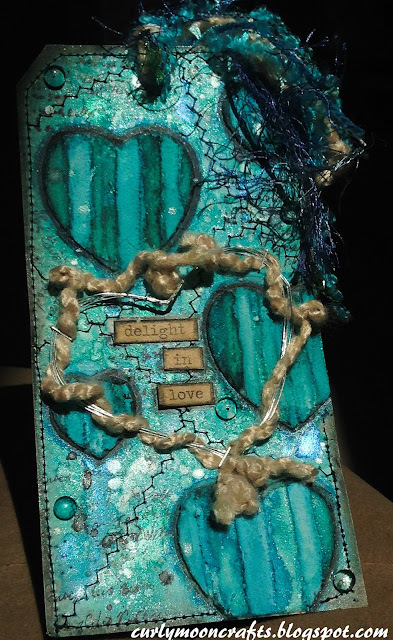 I wanted to incorporate the hearts, colors, wood-look, and the yarn from the mood board, so I used a Teresa Collins stencil with some embossing paste to add the hearts. While the paste was still wet, I used the edge of my palette knife to add the lines in the hearts. Although I should have done this first, the next thing I did was add the random machine stitching on the tag - the stitching surrounds all of the hearts and the entire tag, kind of representing how love holds us all together. Next, I played with my LSG sprays - we all know how much I love the shimmer and shine of these sprays. The tag is really beautiful in person - it's always so hard to capture that shimmer in a photo. I sprayed the colors and let them move along the tg & around the hearts. I wanted the hearts to look a bit more like white-washed wood, so I used some gesso to alternating sections of the hearts, then used a bit more color on the opposite sections. Once I was happy with the background and the hearts, I added some splatters with the LSG colors, Black Soot Distress crayon, gesso, and some of the Heidi Swapp white Color Shine. I wanted the hearts to stand out a bit more, so I used an Inktense pencil and some Black Soot Distress Crayons to outline them - love the way that turned out. I also used the Black Soot around the edge of the entire tag. I originally added the yarn around the tag, but I didn't really like that effect, so I made a inter-twined heart out of silver wire and the fibers, and sort of centered it on the tag. (I tied some knots in the yarn to get it to look more chunky like the fibers in the mood board.) For a bit more interest, I added some stamping with a Prima stamp and Jet Black archival ink. 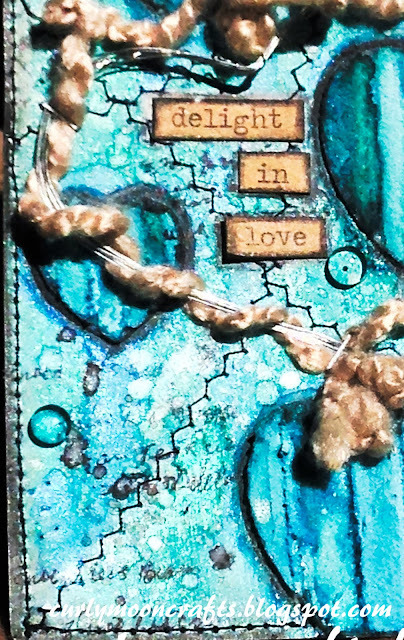 I used the same outlining process on the Chit Chat stickers that I attached inside the wire heart - I used the kraft ones to add to the wood/beige-colored look from the board. And I finished off with a few clear Dew Drops, and some more yarn & fibers tied to the top of the tag. What fun! This is gorgeous, Patti, LOVE the color and the hearts! Thanks for sharing it with us at the Simon Says Stamp Wednesday challenge! ooo la la...Love the textures! Nicely done! This was a great challenge! Aloha! Wow, wow, wow! 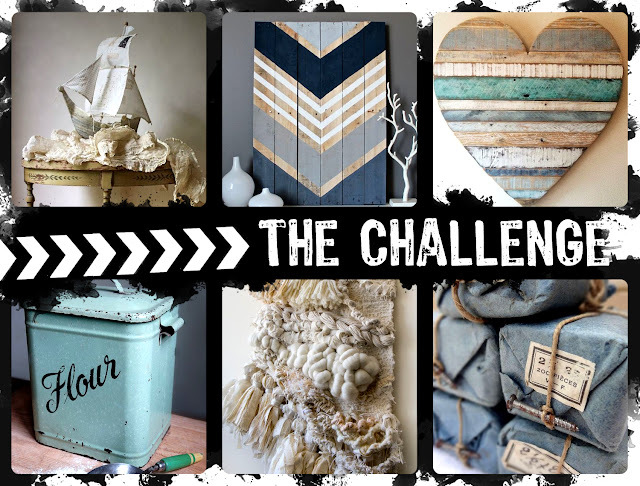 You captured the mood board in your project so well! I love that color you choose from the Lindy's and that shimmer! Oh and I get it how hard it is to capture that shimmer. I love the hearts with the lines in the texture paste. The heart with the yarn is super cool, as well. I really like how you tied everything together with the stitching. Amazing! 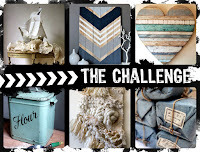 Thank you so much for entering our Mixed Media Moods Challenge and Good Luck!!! Such a fantastic tag! I love all the wonderful glimmer and gorgeous colour. The heart with the yarn is fantastic. Thank you so much for sharing with us at the Simon Says Stamp Monday Challenge! !